Universal ultra-finegrain developer for all types of B/W materials with extremely good equalizing and speed utilization of all film types. Very good to push process films. Due to its superior equalizing capacity it can also process hard working film types like ADOX ORTHO 25 yielding negatives which can be printed on a grade 2 paper. 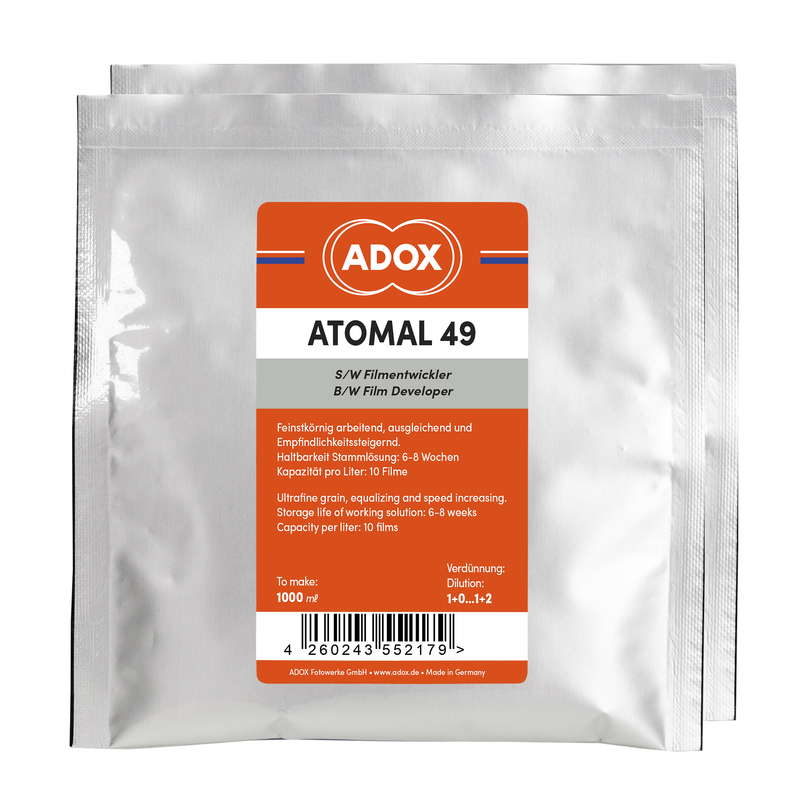 Packaged in three individual powder bags to mix either 1 Liter or 5 Liters of stock solution. Can be diluted to be used as a one shot developer 1+1 or 1+2. Depending on dilution to process up to 20 films.